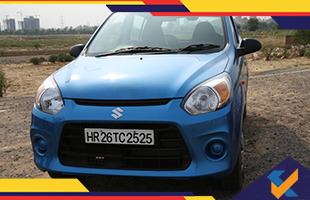 It has been a roller coaster time for Maruti Suzuki and it has finally witnessed a sales growth of 26% in the month of May this year. Maruti Suzuki is one of the leading names in the industry of passenger vehicles and it has successfully sold a total of 172,512 units in May 2018. This is indeed a very positive sign which may have a positive impact on its future production and sale. With over 50 per cent market share in India today, the automaker has showcased a huge improvement in the month of May this year and they are likely to produce more units. Among the units sold, 163,200 units have been sold in domestic market and 9,312 units of exports. The company had sold a total of 136,962 units in May 2017. Hence, the graph has shown an upward trend and this is quite a drastic profit that they have experienced. The mini segment that comprises brand models like Maruti Suzuki Alto and Wagon R saw a dip of 3.1 % as the company sold about 37,864 units in May 2018 compared to 39,089 units in the same month last year. On the other hand, the utility vehicles like the Maruti Suzuki Vitara Brezza has seen a boost in sales by 13.4% compared to that it saw last year. Maruti Suzuki sold a total of 25,629 units in May 2018. This also includes the sales of names like Gypsy, Ertiga and S-Cross. In case of the compact section of Maruti Suzuki, it increased the sales by 50.8%. Among the other giant gain, mention must be made of the van segment comprising the Eeco and the Omni. They have shown a huge surprising sales unit. The segment is up by a massive 32.7% which is actually a huge leap from the product sales last year.